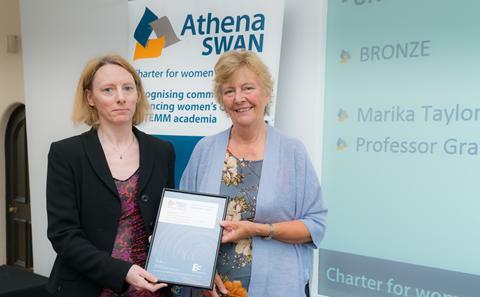 The University of Southampton is a founding signatory of the Athena Swan Charter and holds an silver-level Athena SWAN award. As a signatory, we recognise the specific challenges that affect men and women in academic careers, which leads to fewer women at senior levels of higher education. We are committed to addressing these issues, to maximise the potential of all our people. The Charter was founded with six principles in 2005, focused on the specific issues preventing women academics progressing in STEMM careers. These were revised in May 2015 to recognise the barriers in other disciplines - including those for men, trans people and the impact of race. The Vice Chancellor signed up to these principles in January 2016, demonstrating our commitment to addressing them. 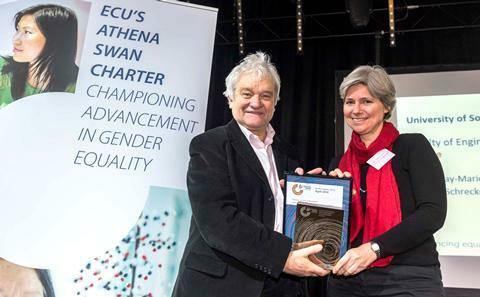 As part of its submission for an Athena SWAN award, the University developed an action plan for addressing known gender equality issues. This first occurred in 2006 and was updated for 2009, 2012 and 2016, reflecting on action over the three years in-between and planning for the future. 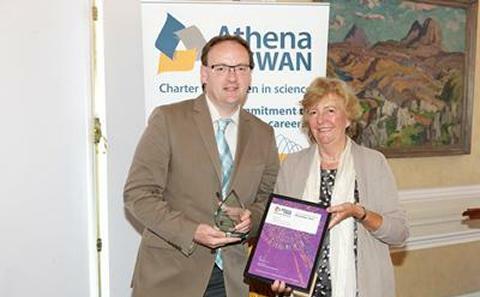 The University was awarded a Silver Athena SWAN award in October 2016, following ten years of work at bronze-level. In addition, several academic units and faculties have chosen to submit for departmental awards, recognising their work to implement our policies and widen awareness of gender equality in their local area. For some faculties, this could potentially be linked to research funding too. The development of comprehensive action plans, with responsibility shared across the University, will mean a coordinated approach to addressing issues such as planning maternity leave (particularly for postgraduate researchers), seeking promotion, gaining a permanent academic position, improving working flexibility and wider provision and support for childcare. There are many areas of good practice across the University, which we hope to share more widely too, such as mentoring relationships, women's support networks, core-hours policies for meetings and seminars, access to equality & diversity training and more. We have formed an Athena SWAN Network with membership from each of the self-assessment teams across the University. All individuals interested in gender equality are welcome to join as well. The network aims to promote discussion of gender-related issues in the University, through a mailing list and regular networking meetings in the University, and to share learning between teams participating in Athena SWAN. Employees from all job families (including professional services) and faculties are encouraged to join. Please contact athena-swan@soton.ac.uk or use our online contact form if you would like to submit feedback on the submissions, gender equality in the University or join our Athena SWAN network. Most STEMM faculties or academic units have at least a Bronze Athena SWAN award, while our AHSSBL faculties are starting to form self-assessment teams to submit for an award soon. You can follow the links below to learn more about Athena SWAN work in each faculty or academic unit, or speak to the person leading that activity. Biological Sciences were awarded Silver Athena SWAN in October 2017. 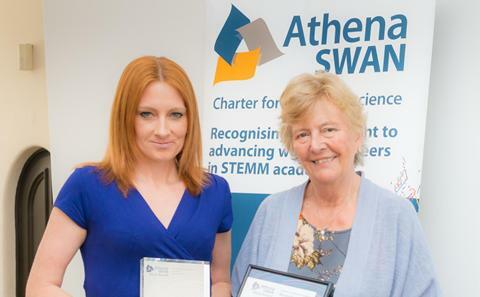 Chemistry were awarded the first Silver Athena SWAN award for Southampton in April 2015, renewed November 2017. 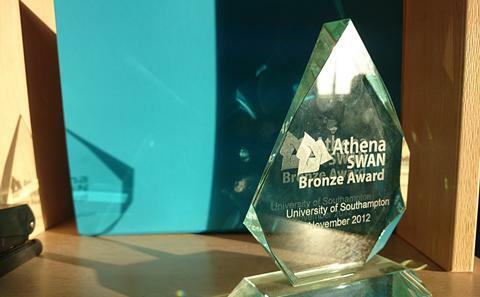 Engineering and the Environment recently renewed their Bronze and are Southampton's first post-May 2015 award holder. Health Sciences have renewed their Bronze award and are actively working towards Silver. Mathematical Science were awarded Bronze in April 2015, renewed November 2017. 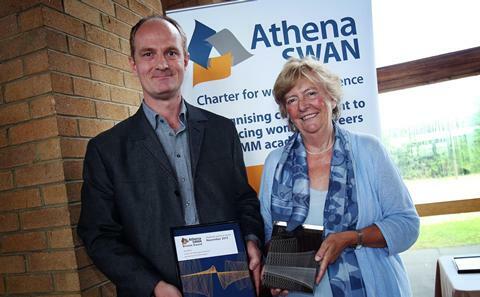 The Faculty of Medicine was awarded Silver Athena SWAN in October 2015. OES were awarded Bronze in June 2013 and renewed in November 2017. Physics and Astronomy were awarded Silver Athena SWAN in November 2017; they also have an IOP Juno award. ECS have an active Athena SWAN self-assessment team. 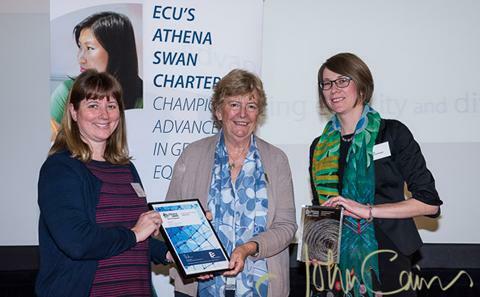 Geography and Environment were awarded a Bronze Athena SWAN award in October 2017. 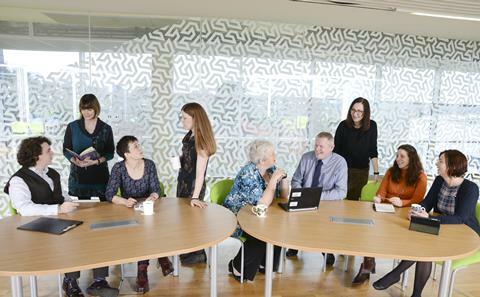 Law have an active Athena SWAN self-assessment team.